For IT News Week 3 of Nov 2018 - Disk 2, pay attention to the launched of the Cantonese version of Waze. AdNovum, a Swiss customer identity and access management (IAM) solutions company, has extended its NEVIS Security Suite with a new DevOps platform, nevisAdmin 4. The new platform allows NEVIS customers to provide digital offerings and security infrastructures in a more agile, fast and reliable manner. With the business landscape constantly changing due to digital disruption, companies are now prioritising speed over scale in order to quickly adapt. These new demands are being placed across all business units, particularly on IT, who need to manage both legacy on-premise IT systems together with hybrid / cloud-based solutions for the company to remain agile. The nevisAdmin 4 DevOps platform solves this problem, supporting close cooperation between various IT disciplines while allowing product development and operations teams to continuously introduce new customer offerings. Quadrant Protocol, a blockchain-based protocol that maps and authenticates data encouraging innovation and data utilisation, announces today the launch of its Mainnet, opening up its data authentication technology to public and private organisations. Quadrant Protocol drives Quadrant.io and will be used by organisations – from major FMCG, Governments and financial firms to start-ups and SMEs – to authenticate the data they purchase and use, helping them make better, more accurate business decisions. Quadrant Protocol uses Blockchain to stamp data with a unique signature, thereby ensuring that any changes, duplication or falsification cannot be done without the user’s knowledge, and data can be traced right back to its source. The technology is set to bring authenticity and trust to a notoriously murky Data Economy, where data sources are routinely hidden, and fraud is common, resulting in firms often spending millions of dollars on data without any idea where it came from or how accurate it is. TikTok recently partnered with University Teknologi Mara (UiTM) and YouthsToday.com to launch its #CampusIdol Campaign. The campaign provides an opportunity to all Malaysian university students to showcase their creativity and talent to a global audience. Leading higher learning institutions in Malaysia including Management & Science University, Aswara, University of Malaya, and Universiti Kuala Lumpur are lending their support to this campaign by sharing this campaign with their respective art and creative student associations. The campaign runs till 4th December 2018 and participating university students stand a chance to win prizes worth RM11,000, including 4 Honor Phones and exclusive passes to the TikTok year-end party. Winning entries will be announced on 7th December 2018 at UiTM with celebrities including Arja Lee, Erma Fatima, Mawi, Rita Nadira and Farid Kamil expected to attend the year-end event. Already, there are over 1.1 million submissions from different genres including dance, music, art and acting, since the launch of the campaign. ShopBack first entered the ecommerce scene with a desktop-first approach. The mobile app, which was launched in July 2016, topped the charts within 24 hours of launch. In less than a year, the mobile app surpassed desktop as our leading source of traffic. In fact, its growth continues to outpace that of desktop over the last few quarters. 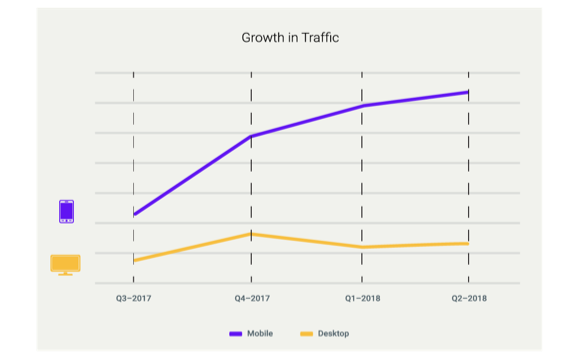 The difference in growth rate is particularly pronounced during the year-end period in 2017, with mobile app growing at least three times more than desktop. 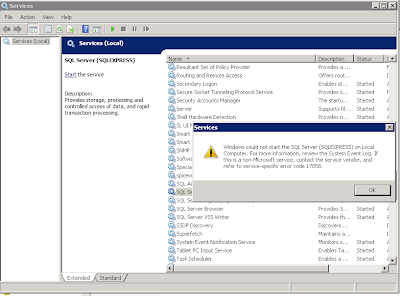 Cost of cyberattack for a large financial services company includes an economic loss of approximately US$7.9 million, with three out of five organizations experiencing job losses. Risk of cyberattacks has slowed down the progress of digital transformation for more than three out of five organizations. Four out of five financial services companies are turning to Artificial Intelligence to bolster their cybersecurity posture. The study involved a survey of 1,300 business and IT decision makers ranging from mid-sized organizations to large-sized organizations across Asia Pacific, including 100 respondents from Malaysia. 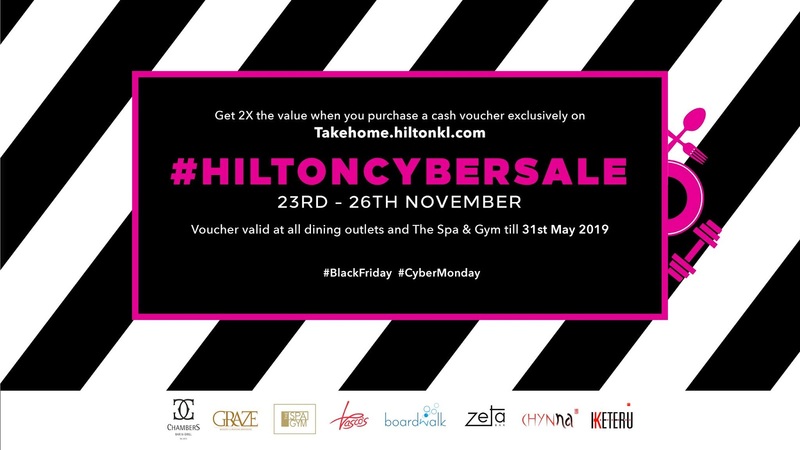 Hilton Kuala Lumpur, Malaysia’s upper upscale 5-star hotel is introducing its very first #HiltonCyberSale in conjunction with the upcoming Black Friday and Cyber Monday, the most anticipated online shopping days throughout the year. Taking place for four days from 23rd November until 26th November 2018. Throughout this promotion, guests, diners and Hilton members are able to earn double the value at all Dining and Wellness outlets in Hilton Kuala Lumpur when they shop on TakeHome.Hilton.com. Hilton Kuala Lumpur houses an abundance of gastronomical opportunities from modern European Brasserie at GRAZE, all-day dining restaurant at Vasco’s, award winning Chinese and Japanese restaurants, Chynna and Iketeru, Chambers Bar & Grill, Broadwalk, the poolside café and the signature Zeta Bar. The Spa and Gym at Hilton Kuala Lumpur offers rejuvenating spa services, relaxing facials as well as personal training sessions at the gym. These vouchers are valid from 30th November 2018 till 31st May 2019 at all mentioned outlets and wellness center within Hilton Kuala Lumpur excluding black-out dates such as festive seasons and is not valid with other promotions. United Overseas Bank (Malaysia) Bhd (UOB Malaysia) has launched its digital security token, UOB Mighty Secure, to provide customers greater security and convenience for online and mobile banking transactions. Customers can now use their smartphones as their security token with the digital security token function on the UOB Mighty app to authenticate their personal internet and mobile banking transactions. UOB Mighty Secure provides customers with security that is more enhanced than a SMS One-Time-Password (SMS-OTP), which is traditionally used to verify certain banking transactions such as fund transfers and credit card bill payments. To use UOB Mighty Secure, customers just need to log into their UOB Mighty app on their smartphone or tablet and they will be prompted to create their UOB Mighty Secure PIN. Thereafter, customers will be prompted to key in the UOB Mighty Secure PIN on the UOB Mighty app whenever they need to authenticate internet or mobile banking transactions. Mr Ronnie Lim, Managing Director and Country Head of Personal Financial Services, UOB Malaysia, said that the UOB Mighty Secure is designed to reflect the changing lifestyle needs of its customers and to provide them with greater convenience, especially when they are travelling. 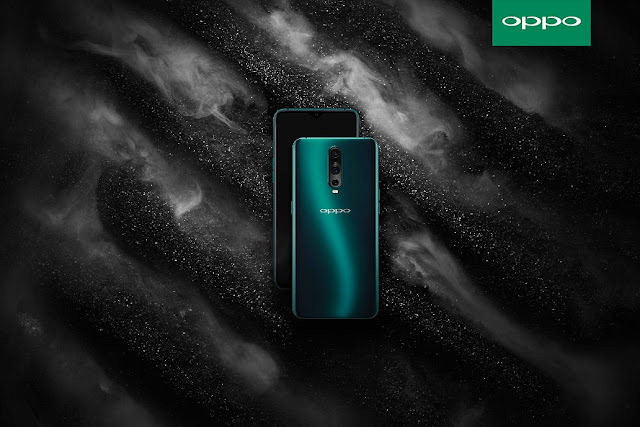 OPPO R17 Pro is going to have a limited edition Emerald Green colour in Malaysia! For O-fans who prefer a subtle colour tone, the Emerald Green is definitely the choice to go for! Counting down to the launch event of the OPPO R17 Pro, the upcoming device has its outstanding night shooting ability, included the AI Ultra-Clear Engine to optimise advanced image processing algorithms, making the photo much clear from the base layer. Providing a clearer and brighter photography in merely a single press. Furthermore, the R17 Pro has its three-axis OIS (Optical Image Stabilisation), enable users to take good photos without being disturb by hand shake. Leanne Taylor has been named Area Vice President of the Asia region. Leanne Taylor brings extensive experience in driving workspace innovation, cloud adoption and business transformation. She will focus on executing the company’s corporate strategy and delivering consistent growth across all sectors of the Asia region, covering ASEAN and Korea markets. Dimension Data, the global technology integrator and managed services provider, has received three Cisco® Partner Summit Global awards – APJ Partner of the Year, Commercial Partner of the Year, and Social Responsibility Partner of the Year. Cisco announced the winners at a Global Awards reception during its annual partner conference taking place this week in Las Vegas, Nevada. Awarded to channel partners that rise to business challenges, the Cisco Partner Summit Global Awards are designed to recognise superior business practices and reward best-in-class methodologies. Areas of consideration include innovative processes, architecture-led successes, strategic business outcome-focused programmes, seizing new opportunities, and sales approaches.